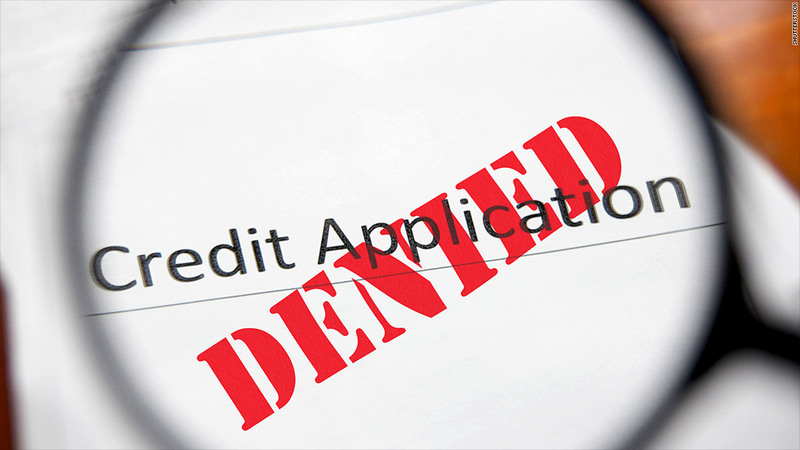 Even after reading explanations from lenders, it's still unclear to many consumers why they've been denied credit. Even though lenders are required to send applicants a letter explaining why they were denied a loan or other line of credit, many people still don't understand why it happened. Under rules that took effect in 2011 through the Dodd-Frank Act, consumers who are declined credit or given less favorable terms than they applied for are provided with their credit score, along with a two-digit reason code and a brief explanation of what that code means. This requirement was meant to help consumers understand what they needed to do to improve their credit. But in a survey of 200 lenders conducted by credit scoring company VantageScore Solutions, more than 75% said they worry that consumers don't understand these disclosure notices, and only 10% said their customers "understand reason codes well." The explanations of these codes are typically written by score developers and contain confusing terminology, or are too short to provide any helpful information, said John Ulzheimer, credit expert at CreditSesame.com. For example, the explanation given for reason code 39 is: "Your worst bankcard or revolving account status is delinquent or derogatory." But in simpler terms, that means your credit report shows an account where a payment was at least 30 days late. Reason code 85, meanwhile, states: "You have too many inquiries on your credit report." For someone who doesn't know what an inquiry is or how it occurs, this can be confusing. But really, a so-called "inquiry" occurs when a lender runs a credit check -- so every time you apply for a credit card or auto loan, your score can be lowered by 10 to 20 points. Another reason people are having a hard time understanding the explanations: only 10% of lenders translate disclosures into Spanish, meaning many Spanish-speaking applicants are unable to read the explanations at all. Almost half of the lenders surveyed said this lack of clear communication is causing frustration among customers. About 38% said it would help to give applicants tips for improving their credit scores, and 33% said it would help if explanations were written "in clearer and easier to understand language." To help consumers understand the reasons they are denied credit, VantageScore launched a website last year, ReasonCode.org, where you can type in the reason code you've received and get a much easier-to-understand, longer explanation of the code and what you can do to improve your credit. And in response its survey findings, the company announced that it has just translated the website into Spanish and created a video detailing how reason codes work.